Rocktime Social Blog: Marketplace Websites: The Future of Ecommerce? 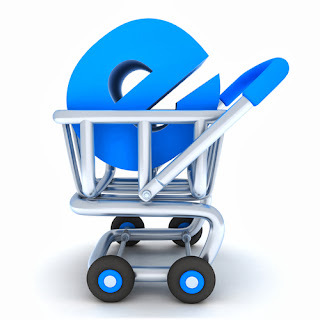 Marketplace Websites: The Future of Ecommerce? Ecommerce, it appears that everyone is doing it these days. And why shouldn’t they? After all it’s dead easy to register a domain name and put together a simple on line store. Ta-da! Your online, OK now what? Well that’s when the hard graft starts. You will need to get your name out there, building brand awareness and crucially, trust. Stock management and overheads all have a role to play as well. And after you have done all this you will be ‘thrown to the proverbial wolves’. Today’s internet savvy shoppers want every product at the lowest possible price, with fast, free delivery to an address of their choice. Be it work, home or Auntie Edna’s house just in time for her birthday (and woe betide you if it arrives late, because it will be on Facebook before you can say ‘refund’). So all is not as simple as it seems for a new business that is trying to get a leg-up in the world of online trading. Of course the word ‘Ecommerce’ has been around for a long time, longer in fact than the Amazon or Play.com websites. However, when we look at these businesses, we get an insight in to how traditional ‘pure play’ ecommerce traders have evolved their platforms in to marketplace’s, that allow smaller traders to piggyback off the brand name, by setting up trader accounts within the website. Now marketplace owners like Play.com and Amazon benefit from an increased product offering, with no additional stock overheads, increased cross selling opportunities and regular commission payments made by traders for every sale. So why join a ‘marketplace’ when it’s so easy to set up your own site? Exposure – By trading on a marketplace website you will not only be benefiting from your own traffic sources, you will also be benefiting from traffic driven to the site by other marketplace traders. So even if your marketing budget is small you can still have substantially more traffic driven to your products than if your where to build a standalone ecommerce shop. Simplicity – Understanding today’s tech terms is not everyone’s cup of tea. With a marketplace this pain is taken away as somebody else has considered the importance of how ‘usable’ the site has to be. After all it’s in the marketplace owner’s interest to make the site easy to use, to attract more traders to the site. Trust – Having a new build ecommerce site liked and respected by customers will take time. Will they commit to spending £££’s on a website that they have not heard of or has no reviews? Probably not. By trading on a marketplace, you will benefit from the trust and loyalty which are fundamental to its brand. Cost efficiency – With marketplace websites there is not usually an upfront set up cost, so you can start building your online presence straight away. However long term you will need to consider if the commission you pay to the marketplace owners outweighs the costs of building your own ecommerce store. Speed to market – Design considerations, site development, testing and SEO all takes time, and can give you a lead time of 6+ months before you own site can realistically be in a position to trade online. With a marketplace you can start listing products as soon as your account is created. Market places allow sellers to be online and trading…fast. Market awareness - By joining a marketplace, you can easily view the prices your competitors are charging for their products, and see the marketing messages they are using. Any small business relies on targeted, intelligent pricing and marketing, and a Marketplace site can give you a real leg up in this crucial area. Here at Rocktime we love Ecommerce, and our very own Source ecommerce platform provides the perfect launch pad if you're considering setting up a marketplace website. Like all the best platforms, it is built to open standards so you can explore the developer marketplace after the initial development phase if you wish. Developing Ecommerce solutions for our client’s sites is something our tech guys have been doing since 1999 and they will happily talk to you about it until the cows come home. So if you fancy a cuppa (or two) and a chat then give me a call. I would love to hear from you. Visit our contact us page here. Labels: ecommerce, market place websites, marketplace, martin bradbury, selling online.